Announcing our Kickstarter Collaboration with Portland-Based Cartoonist Lucy Bellwood! I’ve been keeping this one under my hat for a little while now, friends, because I didn’t want to get super-excited (and, in turn, get you super-excited) until I knew for sure that it was a for-really-reals real thing. 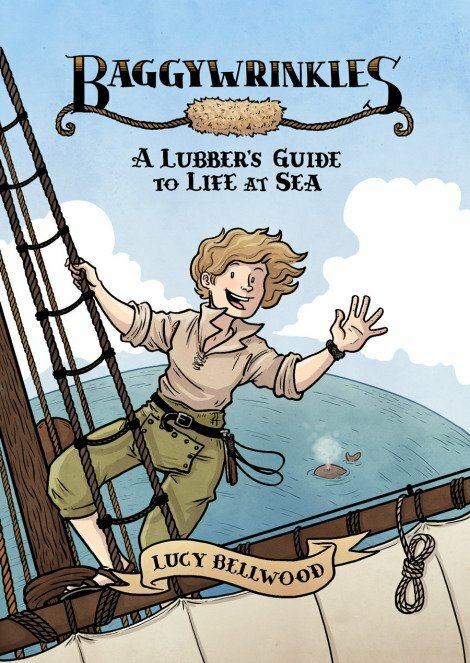 Today, however, I’m absolutely thrilled to announce that I will be collaborating with Portland-based Cartoonist, Lucy Bellwood, on one of the rewards for her upcoming Kickstarter project (set to launch this coming Monday, July 20th) which will help fund the publication of her newest book: “Baggywrinkles: A Lubber’s Guide to Life at Sea”! What is Baggywrinkles, you ask? Why, it’s my educational, autobiographical comic series about living aboard an 18th century tall ship! You can read the first five issues online for free, and check out new content from the series every week on Patreon. I’ve been working on these short stories intermittently since 2010, and I’m finally ready to bring the whole bundle together under one cover. The Baggywrinkles book is going to be a 6″x9″, softcover collection featuring her already published issues 1-5, the never-before-seen-in-print Issue 6 (all about the history of scurvy), and a host of other exclusive goodies, one of which is the new limited-edition letterpress print she’s collaborating with us on! I couldn’t be more excited! 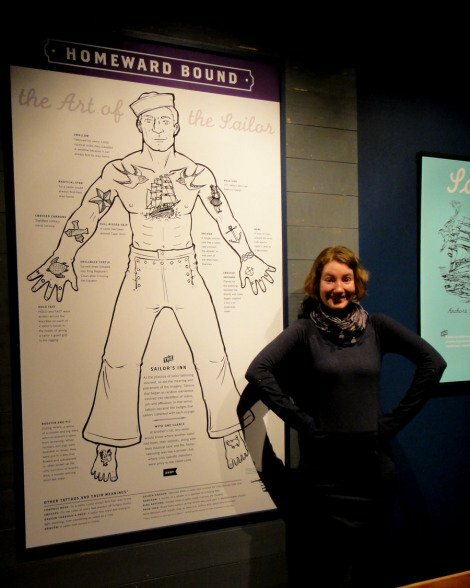 At one point, Lucy created a giant guide to sailors’ tattoos for the Vancouver Maritime Museum, which you can see her standing in front of in the photo below, and we’re going to help her turn it in to a limited-edition 2-color letterpress print! It’s going to be so cool!! If you are interested in obtaining one of these fine prints for the comics, tattoo and/or sailor-lover in your life, the only way to do so is by going over and supporting Lucy’s Kickstarter campaign. To find out more about the campaign, keep an eye on Lucy’s website, blog, or other social media of your choosing (Twitter, Facebook, Tumblr, or Instagram). I’ll also try to keep you abreast of what’s going on with this project, ’cause if you couldn’t tell already, I’m a bit excited! Thanks, Lucy! Can’t wait! I’m proud to say that I dropped off my ballot for the upcoming November 4th election this morning. If you live in Oregon you will probably be receiving your ballot by mail this week if you haven’t received it already. With one of the most important elections of our time (in my opinion) occurring only 16 days away, I would encourage you to educate yourself about the issues if you haven’t already, and then have your say about what the next four years are going to be like in this country, by voting. I sent 155 of these cards off to the Amalgamated Printer’s Association for inclusion in their monthly mailing and I gave several out to family, friends, neighbors, etc. I have approximately 50 left, if you would like one for your very own, please contact me and I would love to send one to you (while they last). Seriously. Think about it. Happy Voting! !